Organization previously focused on construction in Judea and Samaria takes on projects near Gaza border. The Amana settlement movement, headed by Ze'ev Hever, will soon begin construction of three projects in various communities in the Eshkol Regional Council near the Gaza border. The largest project, which is expected to begin very soon, is the construction of 22 homes in Kibbutz Kerem Shalom, which has been a purely secular kibbutz until now. This year, the kibbutz will begin welcoming religious residents as well. This summer, 10 religious and non-religious families will arrive in the kibbutz. The families will live in existing buildings that have been renovated until the completion of the new Amana houses. 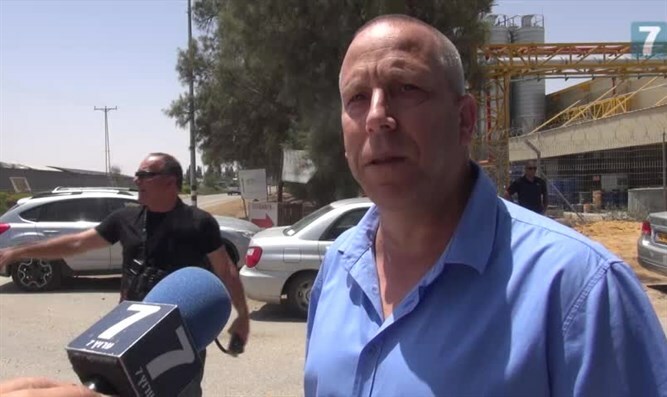 Arutz Sheva has learned that the appeal by the Eshkol Regional Council to Amana, which until now operated primarily in Judea and Samaria, was made about a month ago. Last week, Amana made the decision to respond to the request during a meeting between Ze'ev Hever and Pinchas Wallerstein. Twenty-four families comprising about 100 residents currently live in Kibbutz Kerem Shalom. The decision to become a mixed community passed about a year ago by a large majority of kibbutz members. Recently a synagogue was built on the kibbutz. "Amana has entered three projects, the largest of which is in Kerem Shalom. I am proud to be here with us and develop the South with us," council head Gadi Yarkoni told Arutz Sheva television on Thursday.